The 2018 Music Awardees are Radhika Poduval and Nirbhay Saxena. Radhika Poduval’s interests and accomplishments are many and varied. She has a B.Sc. degree from Sahyadri Science College, Shimoga. She was initiated to Karnatak Music by Acharya G. Arunkumar of Shimoga and to the Hindu texts and epics under H.R. Keshavamurthy of Hosahalli as well into stotras from Chinmaya Mission. She learnt dance from her family and studied western classical Piano at A.R. Rahman’s KM Music conservatory in Chennai. 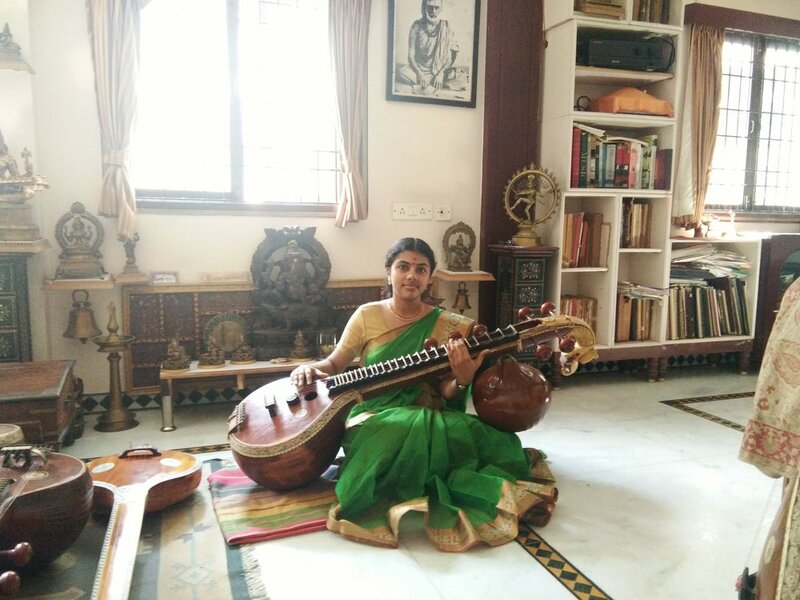 Although she has been exposed to a spectrum of arts she always felt that she must focus her energies towards studying Karnatak music so as to realize her dreams as a classical vocal performer. She was fortunate to be trained at Brhaddhvani - Research and Training Centre for Musics of the World, Chennai under the tutelage of its founder Prof. Dr Karaikudi S. Subramanian. It was here that she felt that that was the place where she would realize her dreams. The support provided by the Inlaks India Foundation could not be more timely as it will help her accomplish her goals at Brhaddhvani. Nirbhay Saxena hails from Gwalior. Having been born in to a musical family Nirbhay’s training started at the age of 7 with his father, Sri. Radheyshyam Saxena. Following his father he took taalim under the guidance of Pandit Umesh Kampoowale of Gwalior for over 7 years. In 2011 he was selected to study at the ITC Sangeet Research Academy, Kolkata under guru Padmsri Pandit Ulhas Kashalkar as well as started taking taalim from his senior disciple Sri. Omkar Dadarkar. He is very fortunate to have taalim of purab ang Banaras gayaki of thumri from Padmvibhusan vid. Girija Devi. Nirbhay has performed almost all over the India and accompanied his Gurujans in many conferences amongst which was a series of workshops and concerts in Germany. During his time in Germany he performed at the Rautenstrauch-Joest Museum, Cologne during India Week. His talent has been recognized by several organisations. He is a recipient of the National Bal Shree Awardee (2009); Chacha Nehru Scholarship from NCERT; CCRT Scholarship from Ministry of Culture for Young Artists (2014-16) and the Kala Sadhak Sammaan, Patna for 2017.